29. 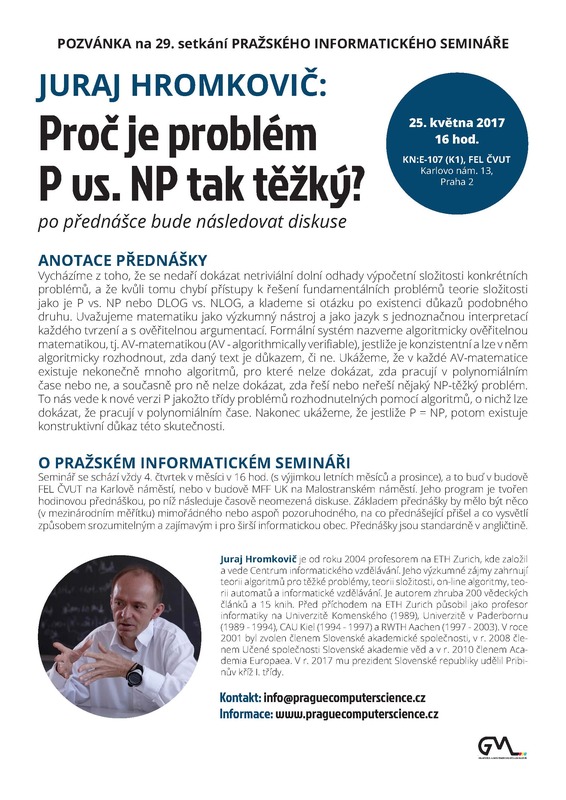 Prague computer science seminar: Prof. Juraj Hromkovič: Why P vs. NP is so hard? Let us invite you to the Prof. Juraj Hromkovič’s lecture held within the Prague computer science seminar. Place: KN:E-107, Karlovo nám. 13, Praha 2, May 25, 2017, at 4.00 p.m.